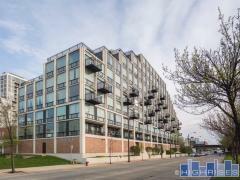 The Bentham is a boutique condo building located in the heart of River North. The 31 exclusive residences feature 3 bedroom floor plans with private elevator access, floor to ceiling walls of glass and contemporary finishes. Building amenities include 24 hour concierge, on site maintenance, rooftop pool with sun deck, fitness center with yoga room, catering kitchen, and more. Have any comments or questions about Bentham? Ask your question and/or share your thoughts about this Building.